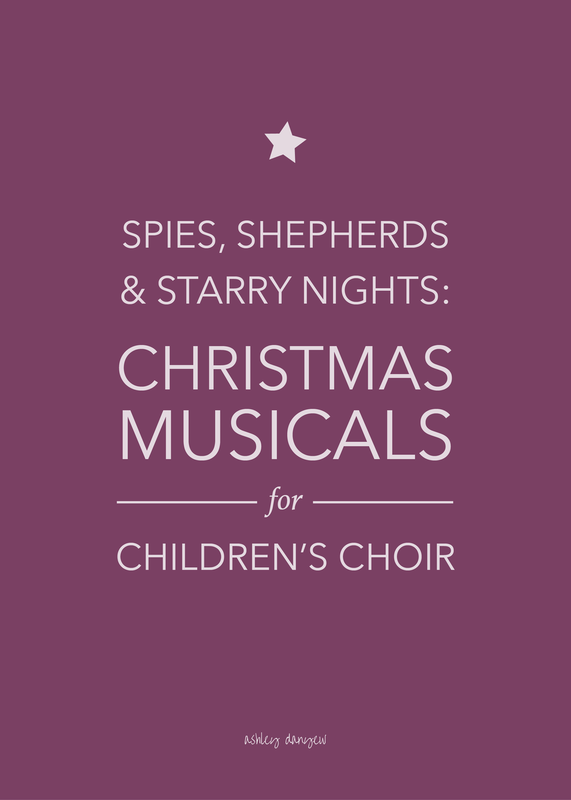 Looking for a Christmas musical for your children's choir? Whatever you choose, make sure you like the music - that it's singable, in a good range, and has meaningful text - and that the story line supports the biblical story of Christmas and reinforces Scriptural truths. See Christmas musicals specifically geared toward young children here. Of course, another alternative is to create your own musical by adding songs, carols, and instrumental music to a spoken Christmas play. I've done this a few times and it's worked really well. It can be as simple or complex as you'd like and truly tailored to your church and the resources you have available. One year, I chose familiar carols and Christmas songs and formed a "Christmas choir" with the children of the church. We rehearsed on Sunday afternoons for a few weeks leading up to the big day and even included a few duets and trios to mix it up. The congregation loved it! Another year, I incorporated a few congregational carols throughout the play and added in short instrumental passages and musical cues that tied into the dialogue or helped transition between scenes. I pulled from piano arrangements I had on hand - "Silent Night" (arr. Rouse), "O Little Town of Bethlehem" (arr. Hayes), "Listen to Christmas" (Hayes), and "While By Their Sheep" (arr. Bock) - and created my own effects to imitate key moments in the script (e.g. "a bright star appeared" = high C octave tremolo or knocking on the side of the piano when Mary and Joseph arrive at the inn). This was a very simple way to add to a play that included only spoken dialogue - we were able to put it together (dialogue/acting + music) in just one rehearsal. While decorating their Christmas tree, a family begins talking about the significance of the symbols of the season. Includes Scriptural references woven throughout the narrative and parts for six characters. A traditional Christmas Story narrative, divided into 17 parts (could be done with fewer), this play includes seven congregational hymns and staging directions. This was one of my favorite finds - I love the rhyming dialogue! There's lots of flexibility with this script, too - you could divide it all sorts of ways to accommodate the children in your group who would like to be readers. It even includes props and staging suggestions! This script features simple rhyming dialogue and song suggestions. The pageant is organized into scenes, with children and adults from the congregation coming forward at various points and dressing up to play the characters as they are mentioned. Do you do a Christmas play or musical with your children each year? Have you ever created your own?